Some nice Rocksteady on this sixties compilation produced by Bunny Lee. First two tracks should be well known. Two good instruments from the Skatalites Alto Sax player Lester Sterling Forest Gate Rock issued originally on Big Shot from 1968. 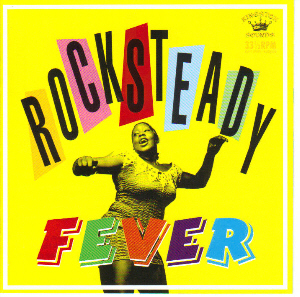 Rock Rock and Cry is an interesting track previously issued on Sir Lee's Rocksteady Party At Buckingham Palace Vol.1 CD (Jamaicain Gold (Dutch) issued 2000 now deleted), great track by this unknown duo called Raving Ravers. Most of the above tracks were also on Vol.2 At Kings House also now deleted. Issued on Kingston Sounds KSCD016.